Our Gift Vouchers are sent electronically on the date you specify to the email address provided. Payment for the gift voucher will be charged on purchase, not on the date of issue and are valid for 12 months from issue. The value of the gift voucher is your choice. The gift voucher will be allocated to the recipient's account in the form of e-wallet credit which can be redeemed at the final stage of the checkout. Confirmation of the Gift Voucher will only be sent to the purchaser once the order is confirmed by ourselves. Gift Vouchers can only be cancelled by the purchaser within 1 hour of purchase and will not be valid until confirmation email received from us. Unwanted gift vouchers can not be returned and voucher codes can not be used to purchase another gift voucher. 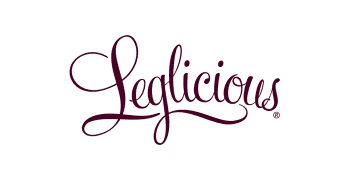 If the recipient does not already have an online account with Leglicious, the recipient will have to create an account using the email address the voucher was delivered to, this can be done during the checkout process. The funds will then automatically appear and an option given to redeem the funds against the cost of purchase in the basket. If the items purchased total less than the gift voucher amount the remaining funds will stay in the e-wallet to use on the next purchase, if the items purchased exceed the gift voucher amount the remaining value must be paid by card in order to complete the order.